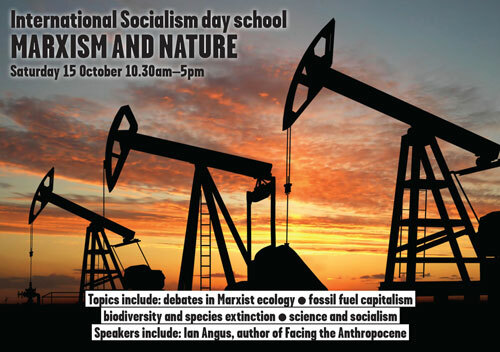 A one-day conference hosted by International Socialism - programme available now Saturday 15 October 2016 10.30am- 5pm Student Central, Malet Street, London, WC1E 7HY Nearest tube stations: Russell Square/Euston/Euston Square/Goodge St Venue is wheelchair accessible. There are sharp debates on the left around humanity’s relationship to nature, the direction in which capitalism is going and what a more sustainable future might look like. The theoretical discussions around the relationship between nature and society have important political implications. For example, it has become common for theorists to argue that there is no separation between humanity and nature. Marx understood that humans are part of nature but can humanity be subsumed within nature? What does this mean for how we see the human labour and class struggle? Is there a future for the Labour Left? Where next after the Leave vote?